We are ‘Revolution Personal Training’ in Clapham Common SW4. As a team of Personal Trainers, we are number 1 in our market and the area, getting you the best results for what you want to achieve. Here at ‘Revolution Personal Training’ we started first and strive for the latest and most innovative exercise and lifestyle techniques giving you only the best results. Our combined vast amount of years in working with people in everyone’s approach to exercise and holistic care for your body means we give you a personal and tailored overview. From weight management, boosting confidence, easing the pain, gaining strength, increasing suppleness and flexibility to overall health and well-being. Our Fat Loss Workouts, Diets & Exercises are based on a scientifically proven system that is so effective that it can be tailored to the goals of everyone – from elite athletes looking to rapidly shed off season weight, through to busy business people and parents with young children. It is a plan that aims to deliver maximum results in minimum time.We have developed a unique Weight Loss workout programme that we promise will produce startling results for you! A big promise yes, but for those of you who are prepared to work hard and follow our advice to the letter then life changing fat loss results can potentially be yours. We’ll get you on the right path by assessing your posture and movement function, through postural assessment, analysing your movement and strength and flexibility testing. With this information, we can tailor a specific program to restore optimum posture and symmetry within your body. We’ll also address any muscle imbalances that, if left untreated, will compromise your structure and lead to injury. Prevent injuries through correcting poor posture, muscle imbalances and movement malfunctions. By working one-on-one with our personal trainers you’ll strengthen your muscles in balance, ensuring correct technique to create muscle symmetry. Our rehab program will help you actively come back from injury and prevent further injury through correcting physical imbalances by working on the complementary muscles and not just the area of injury. Boxing lessons are becoming an ever more popular fitness choice. This fast-paced yet methodical exercise touches on elements of cardio, endurance and strength training to create a comprehensive workout. Boxing training and workouts are rather intense and can last as long as an hour. However, rest is very important, but you need to be able to perform under pressure. But don’t worry, Samuel can build up your training so anybody of any level can start to help you along your boxing journey. Each session will comprise of a warm-up, conditioning, sparring and drills. Some popular motivations for taking boxing lessons are increasing endurance, strengthening punching power, and getting fit. The intensity of a boxing workout can also help relieve stress. Aerobic training is good for building endurance and improving your cardiovascular and respiratory function. This means that your heart and lungs become stronger and more efficient, enabling you to train harder and longer as your fitness levels improve.Anaerobic training is performed at a harder intensity than aerobic exercise, typically between 80 – 90% of your maximum heart rate and is a fantastic way of improving your fitness levels once a baseline aerobic level of fitness is achieved. Flexibility Improvement: Flexibility is a vital component of fitness, which is often overlooked. Maintaining your muscles is important for keeping everyday activities easy and doable – helping to prevent injury such as and for allowing your joints to work optimally and move through their greatest range of movement. There are many ways to improve flexibility, from effective stretches that you can do as part of an easy-to-follow home routine, to more structured flexibility workouts such as a yoga class. Incorporate these moves into your routine to limber up. Our team of expert nutritionists are on a mission to ensure children have the best start in life. Good nutrition is key to the growth and development of children, particularly in their early years. We work to promote positive attitudes and enjoyment of food throughout childhood and beyond.Looking for bespoke nutrition services? Speak to one of our nutritionists to find out how we can support you or your business. 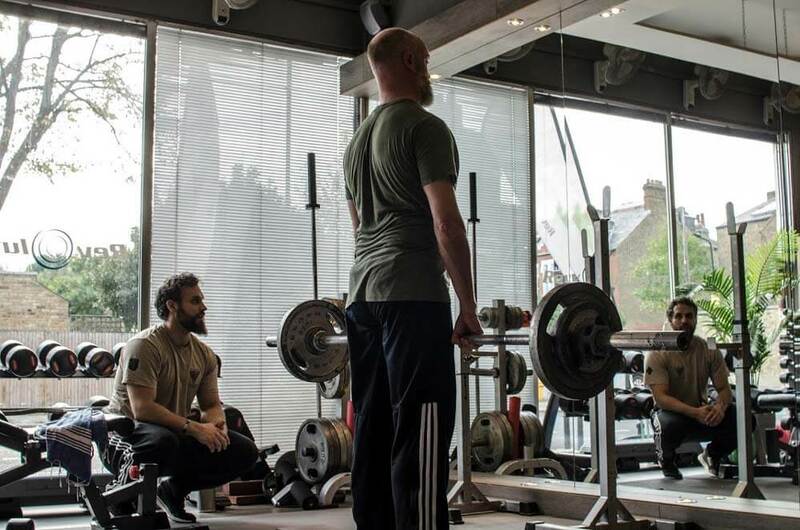 At our Clapham studios we deliver personalized sessions to suit you, whether you are a teenager, over 60, pregnant, injured, an elite athlete or just someone trying to improve your fitness and quality of life. We accumulated over 30 years of experience in personal training, developing weight loss, exercise, nutrition, injury rehabilitation, and weight management programmes for every type of person. We do not claim to have a ‘Training System’ because there is no way that two individuals can be trained equally and every session is tailored to you. We are serious about your fitness, you looking great and feeling better. Our trainers will know your goals and will guide you to your results!